Give your dining room or entryway a majestic touch with this beautiful chandelier. 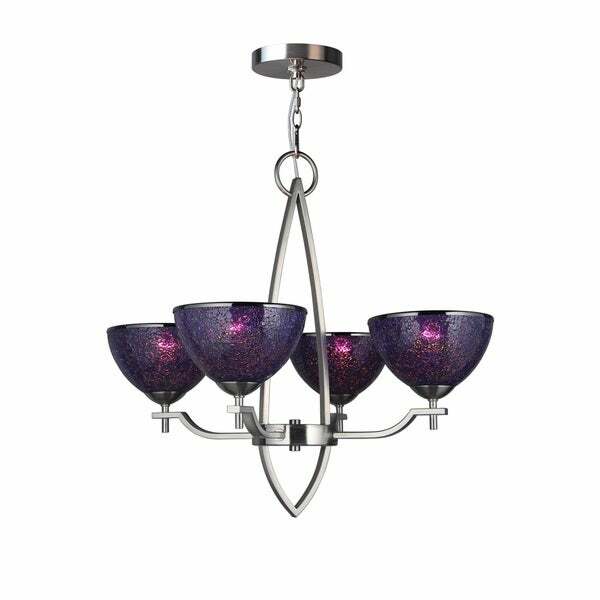 Glorious purple globes feature a rich mosaic look and provide a nice contrast to the gleaming nickel finish. Dimensions 21.25" x 26" x 26"